The apartment is located at the end of San Cristobal beach with the Mediterranean Sea in front of it, communal pool, bars and restaurants along the esplanade. Golf courses closeby. The apartment has been totally renovated and has been new furnished 2017. Thank you. We have just spent 8 wonderful days in this beautiful apartment. It's location was perfect, opposite the sea, where we sat watching the world go by. The apartment was tastefully decorated and furnished and very well equipped, nothing was overlooked. The attention to detail made our stay very comfortable. we look forwards to returning. We stayed in this apartment for a month in February. The apartment is well appointed and spacious enough for a couple. On the first floor, it is safe yet does not necessitate lots of stairs or use of the lift. Its situation is perfect - lovely views of the bay from the balcony, south facing, so getting sun all day long (though that may be a problem in high summer!). The attractive promenade runs past the building, and the town is a good walk or a bus ride away. The apartment is well appointed, and during our stay was quiet. There is a pool within the building. Highly recommended - we hope to pay another visit soon. 5 pessoas acharam esta avaliação útil. 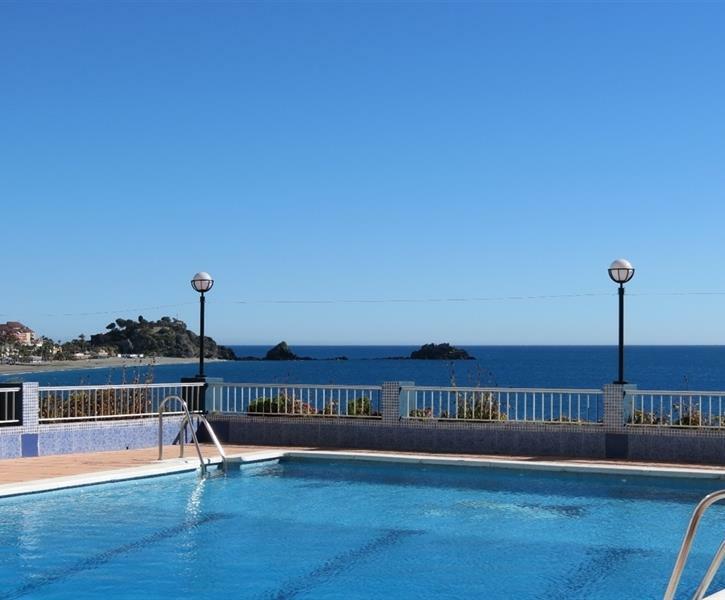 VERY nice and clean appartment situated in the quiet end of the Paseo, overlooking the sea. Almunecar "downtown" is only 10 - 15 min. walk away, so it is close to shopping and facilities.